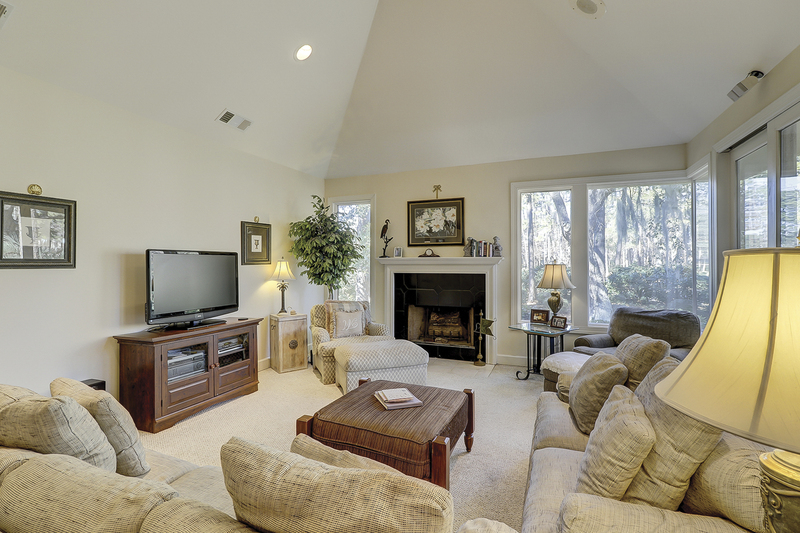 Full Listing Details Call Mike at 843-384-0308 to schedule a private tour or you can request more information here. Open House Sunday 4/22/18 1:00 to 4:00 in Conjunction with Long Cove Club Community Showcase. Visit the security gate at 8 Long Cove Drive for a pass and map of homes. 398 Long Cove Drive is close to the gate, take the first right and the home is .33 mi. on the left. Come see all that Long Cove Club has to offer. 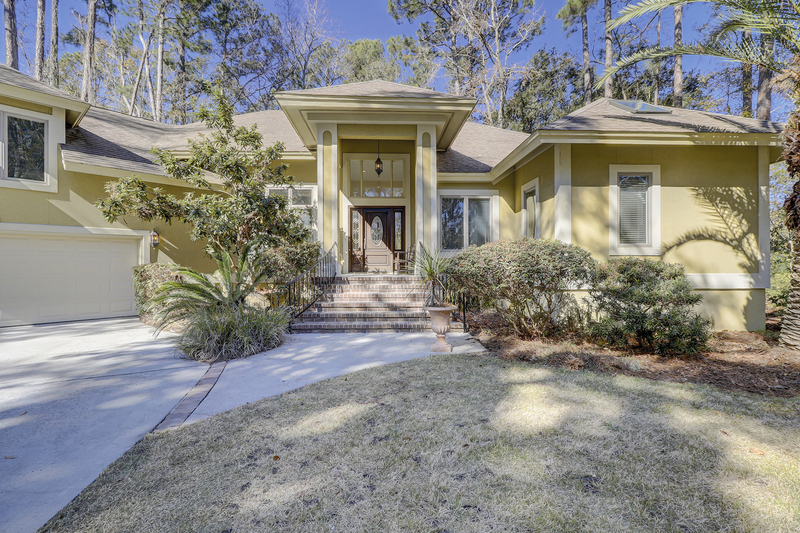 This home is situated on the 9th fairway of the private golf course in Long Cove Club. 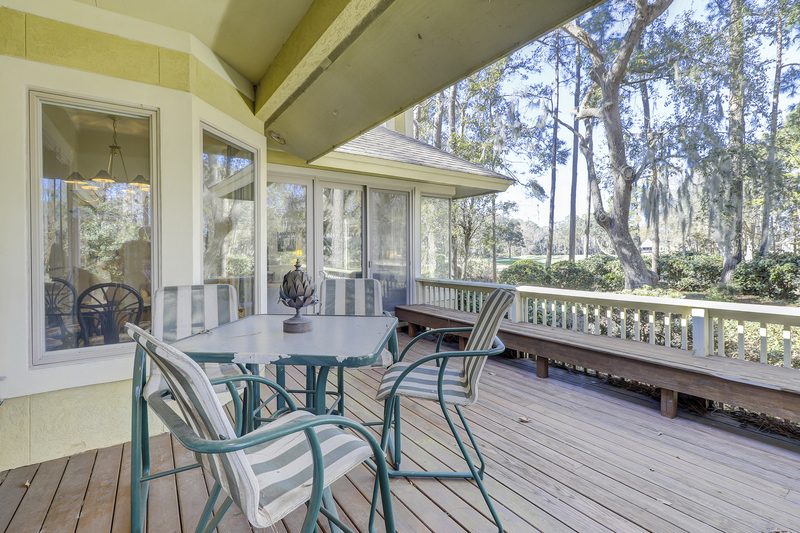 You can enjoy views from the tee shot to the clubhouse from the covered porch and back deck. This luxury custom home is available for purchase and offers its new owner a lifestyle that is hard to beat. 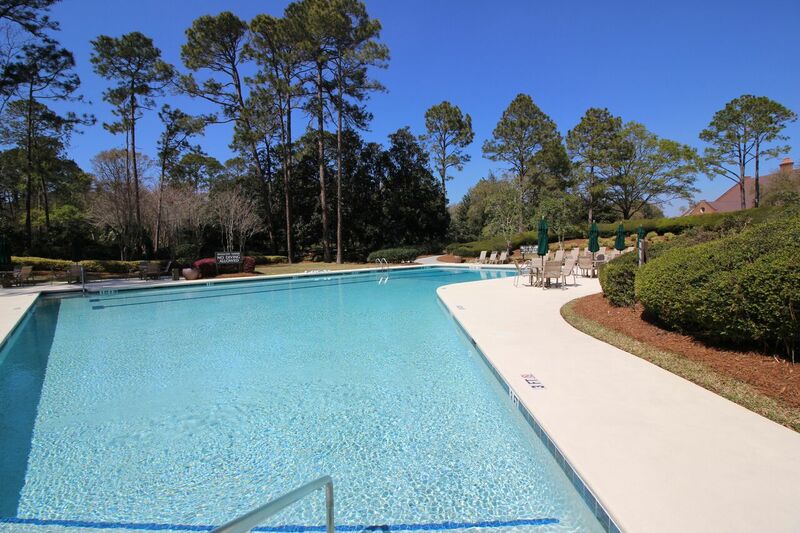 Outside of this guard gated community you are just minutes from 12 miles of Hilton Head beaches, numerous other golf courses, shopping, dining, entertainment and many other conveniences. 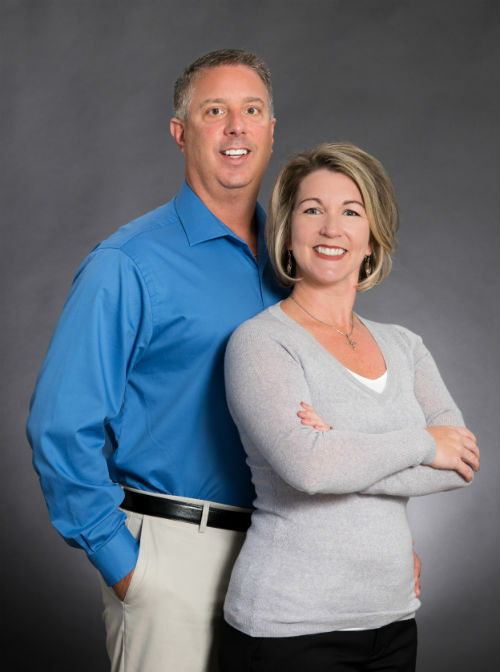 Check out the always open house virtual tour below. The home is just less than 3,100 sq ft and has 3 bedrooms and 3 ½ baths on the main level and a bonus room/4th bedroom and full bath over the garage. 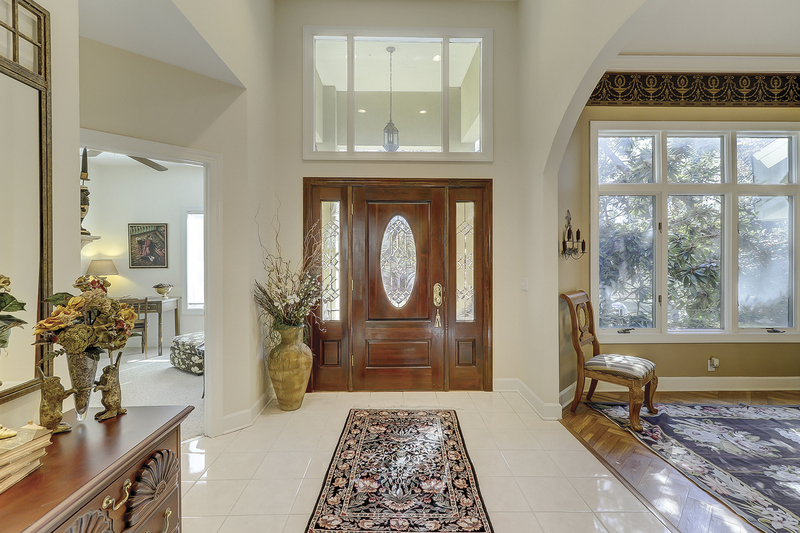 Step inside and you will notice the high ceilings, custom details, crown molding and natural light from the foyer. 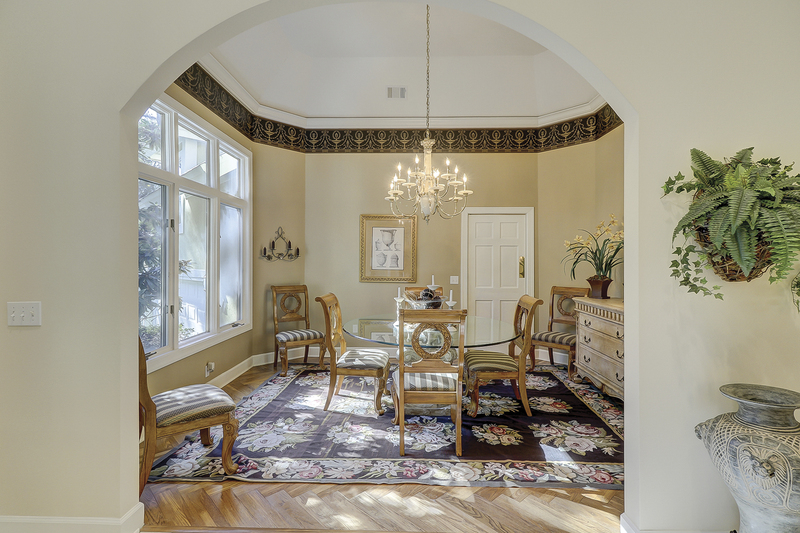 There is a formal dining room and office on each side of the foyer and the formal living room is directly ahead. Off to the left you enter the kitchen which can be closed off from the formal areas. 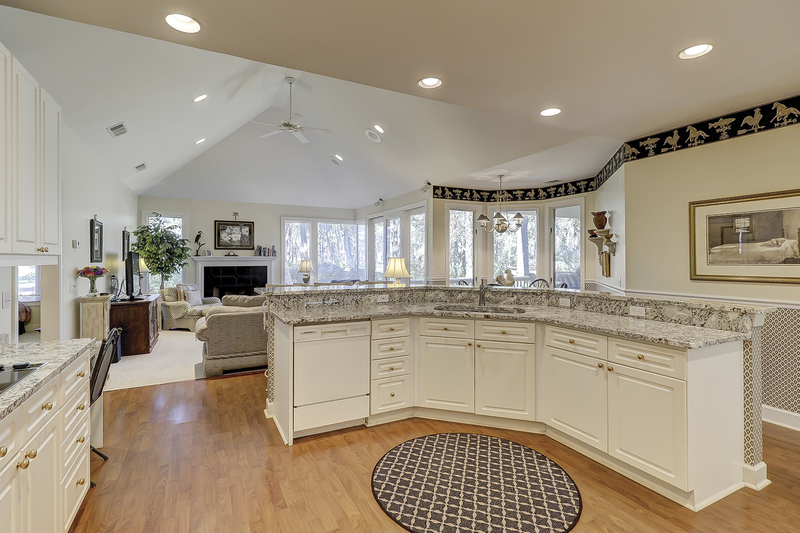 The kitchen is open to the Carolina Room and breakfast nook. You will enjoy cooking and entertaining with a large island with seating, granite counter tops, new stainless steel appliances and plenty of cabinet and counter space. The high kitchen ceilings give way to soaring cathedral ceilings in the Carolina Room with a fireplace and lots of windows. There is private access to the guest bedrooms with en-suites and the split bedroom floor plan allows ultimate privacy for the luxury master suite. The master has a large bay window, sitting area, his and her walk in closets and a spa like bath with a jetted tub and separate shower. The bonus room is on the kitchen side of the home and has an en-suite as well. The exterior of the home is hard coat stucco and there is a two car garage, concrete driveway, brick entry stairs with wrought iron railings. 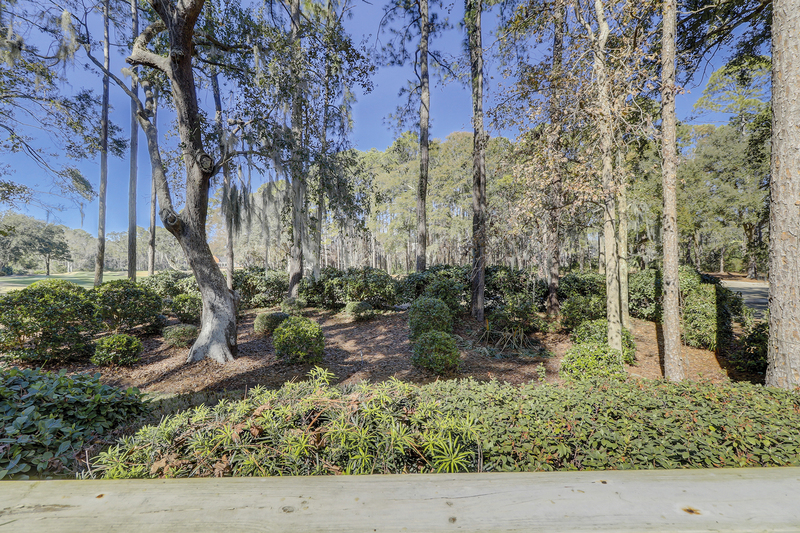 The mature landscape has a tropical flair with many palms, philodendrons and live oaks drenched in Spanish Moss. The back deck has built in seating and is partially covered. Life in Long Cove is like being on vacation with resort style amenities and plenty of recreational diversions. The 18 hole Pete Dye Course is superbly maintained and meanders through a stunning Low Country landscape. This home is minutes from the clubhouse, tennis courts and community pool. 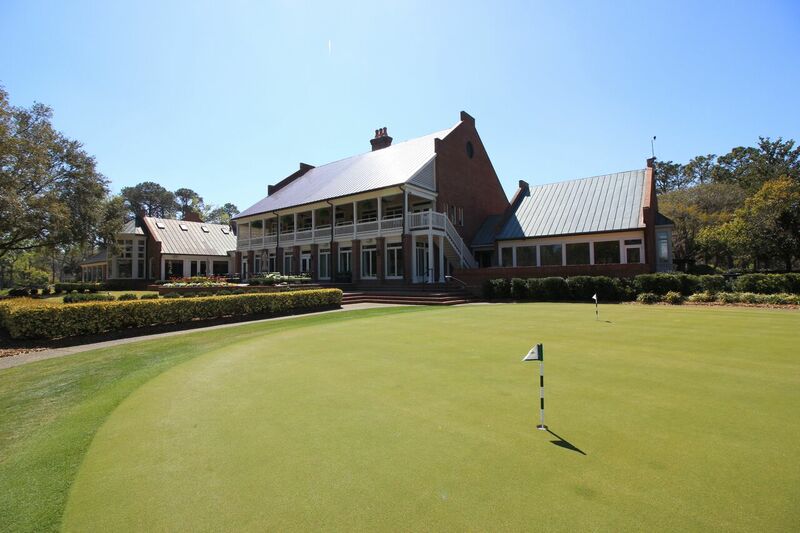 You can enjoy dining at the Long Cove Club along with special community events. The world class tennis center has 8 Har-Tru courts and four courts are lighted. The pool is a Junior Olympic sized pool with a saline chlorination system. 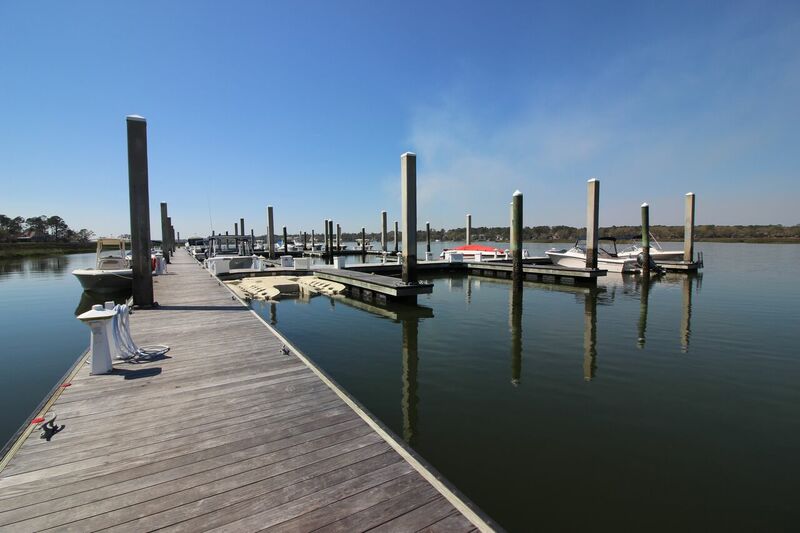 The deep water marina is situated on Broad Creek and enters into the Calibogue Sound which is part of the Intra-Coastal Waterway. There are kayaks available for residents and guests to use and you can store your own kayaks on the waters edge. You will also find 2 acres set aside for a playground, basketball courts, picnic area, green space and a dog park. If you like to keep a garden there are community plots available as well. 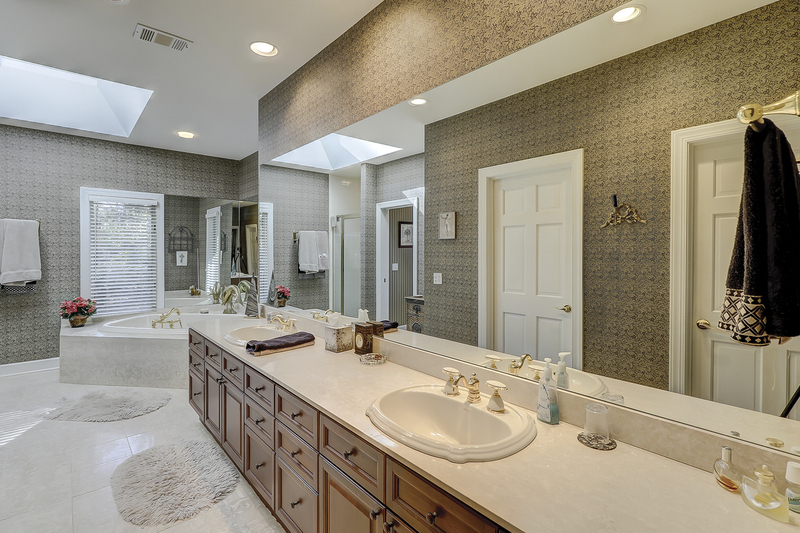 Call today for a private tour of Long Cove and this beautiful custom home.